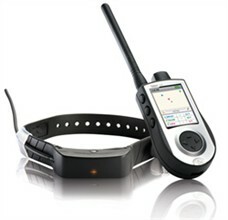 SportDOG Brand’s new TEK-V1L provides GPS tracking versatility like you’ve never had before. The TEK system’s compact, handheld device provides an instant fix on up to 12 dogs’ locations all the way out to 7 miles. The handheld’s backlit liquid crystal display is scalable from 100 yards to 75 miles in diameter, provides multiple-waypoint capabilities, and even tells you when a dog is on point or treed. You can adjust the viewing scale from 100 yards to 75 miles. The update rate (with good battery) is every 2.5 seconds. You can store up to 20 waypoints, save your current location as a waypoint, and navigate to, rename or delete existing waypoints.